This month’s featured photographer is Christian Moore. 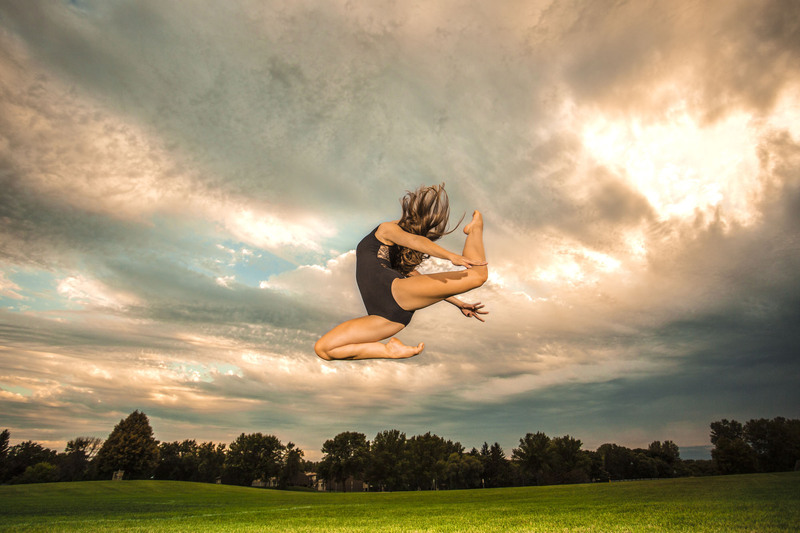 We recently interviewed him and wanted to share his journey into the world of dance photography. Happy reading! Christian: Photography itself was picked up at a very young age for me, though it did not focus on dance till much later. I started picking up my dad’s camera when I was in middle school because I was fascinated with the concept of capturing a single moment in time. Nothing can evoke more emotions in someone than a fond memory of a person, or a place you have been, in the past. So photography was a logical choice for me. A moment of love, laughter, joy, sadness, beauty, or excitement can be frozen in time to be enjoyed again and again. It captivated me. However, I have never found something that evokes more emotion in the human soul more than dance. I did not discover dance myself until I was nineteen years old, though I grew up around a dance studio as a sibling of those taking classes. I started dancing myself that year and discovered the beauty of human expression that is ever so present in every movement, and ever since then I have been devoted to capturing the emotional release that is expressed when dancing. An emotion frozen in time. Nothing can compare. Christian: I have always loved those amazing sunrises and the gorgeous daytime sky. The one place that never fails to live up to this is Arizona. I love the simplicity of the desert combined with the extreme variety of locations that never seems to end, not to mention the amazingly talented dancers all around the state. Arizona never disappoints. Christian: I have been inspired by a lot of photographers over the years. As far as dance photography goes, I would have to say Chris Reilly has been a big inspiration. I have gotten the amazing opportunity to work with him for a short time this last year, and during that time he was not just a peer to me, but also a teacher. He helped me grow as a photographer and a businessman. The learning opportunities he provided and the guidance as far as photography are something that I cherish. And the fact that though he is not a dancer himself, he has achieved such prowess in the dance industry and worked with some of the best dancers in the world is truly inspirational. He is a true exemplification of the statement, “Never let anyone tell you that you can’t do something.” He continues to be an inspiration to me as well as a friend. Christian: My favorite shots are not based on which position is the most amazing or if the location is perfect. The shots that become my favorites are the shots that cause the dancer I’m working with to smile because it makes them finally realize just how beautiful they are inside and out. It is the shot that inspires others. I look for the shot that makes others feel encouraged. It is the shot that makes others want to dance and continue dancing for the rest of their lives. Because of this, I am able to say I have too many favorite shots to list because I have them at every single shoot I do. DA: What are some things that contribute to a successful photoshoot? Christian: Something that I have learned is that both the photographer and dancer need to be flexible and prepared for the uncertain. Just because your plan does not work out, does not mean the shoot is wrecked. The ability to improvise when it comes to weather, location, and unexpected occurrences is super important in every single shoot. You never know what the world is going to throw at you. I have planned on sunny weather and ended up shooting in the middle of a monsoon. I have had lights fall into the ocean during a sunset shoot and had to continue without the light I was expecting. You never know what will happen. So I have a checklist of things I bring with me to every shoot to not only protect equipment (plastic bags, duct tape, multi-tool, etc.) but also to make the dancer as comfortable as possible (snacks, water, blanket, changing station so they don’t have to change in public, etc.). 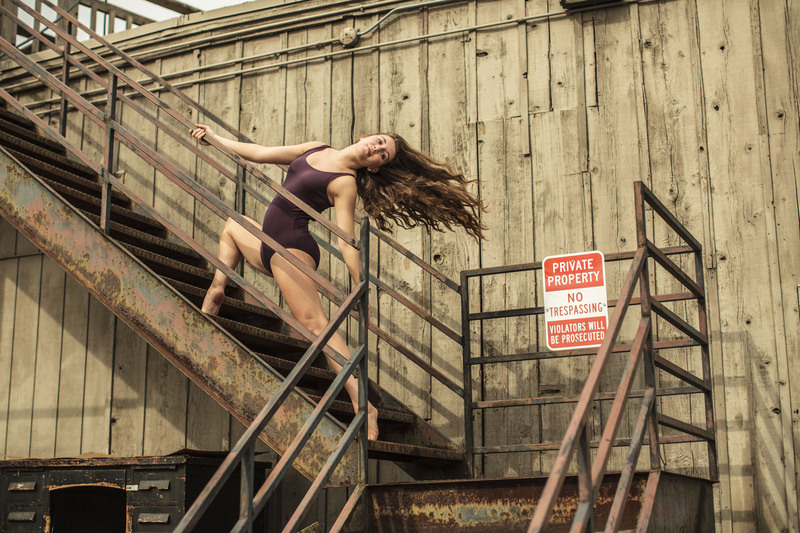 The more comfortable both the photographer and dancer are, the better the shoot will go. Christian: Equipment, to me, is not as important as the positive experience for the dancer, so I can’t say that I couldn’t live without any particular piece of equipment. However, I would have to say my Canon 135 f2 lens is my most valuable piece of equipment to me. I love the shallow depth of field that it creates along with the extra sharpness that it provides in the image. This lens is one of the best on the market. I am all about the image quality, so nothing less than the best will do. Christian: Bring snacks and water so that the dancer does not get tired too easy and they can keep their blood sugar up. And I can’t stress this enough… don’t be afraid to try something new. Be spontaneous. Live in the moment, and don’t let other people around you stop you from performing. It is all about the emotion you bring to the table. Pretend you are on stage telling a story. And remember, even professional dancers take a few shots to get something perfect. Just because it takes you doing the same move 10-15 times does not mean you are a bad dancer. Be YOU and don’t try to be someone else. You are the one being captured in the pictures, so own it and be comfortable in your own skin. And lastly… SMILE! I smile can actually change your own mood for the better, and it will make the whole experience more enjoyable. Christian: For the most part I don’t use a website so the best places to get ahold of me are Facebook, Instagram or email. Christian: If you have a dream, follow it. I did not start dancing until I was nineteen, and now I am teaching at two different studios and photographing dancers all across the USA. I never thought I would get to where I am. But I believed in myself and set my mind to it, and now here I am today. Don’t ever limit yourself the words, “I can’t.” You never know what you can achieve until you try. Thanks so much Chrisitan for sharing your work with all of us. Make sure to leave a comment and show some love to our new friend Christian! Congratulations Christian. We are so excited for you and this amazing opportunity. We love Christian Moore, he is a dream to work with. He makes each dancer feel so special and becomes like a big brother. there is just something special about Christian that you don’t come across every day. We feel blessed to know him!